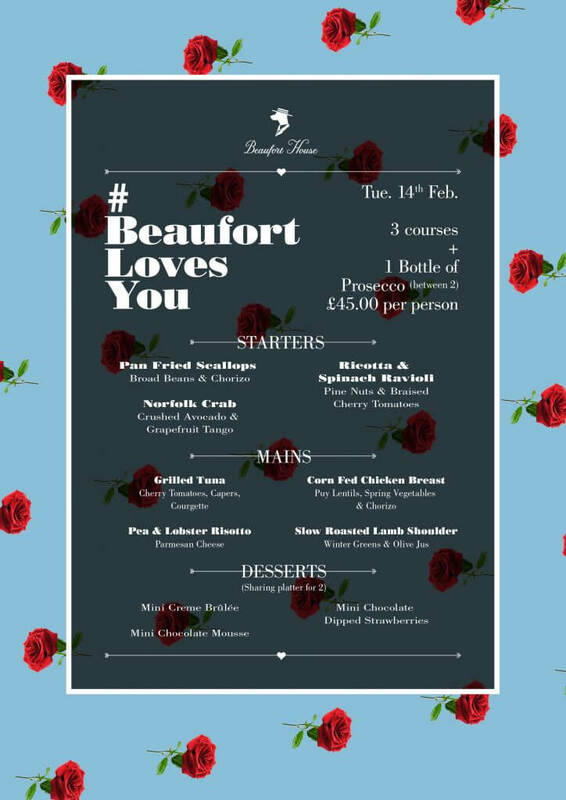 Whether you’re happily enjoying the dating scene or completely loved up, Beaufort House Chelsea is the perfect romantic spot for a Valentine’s Day meal. Indulge in sumptuous dishes, divine desserts, fine wine and a perhaps a cheeky cocktail or two. We are offering a special 3-course Valentine’s Menu including a bottle of Prosecco (to share between 2) for only £45 per person. To book call our team on 020 7352 2828 today or email info@beauforthousechelsea.com.